As an independent family company, SKYLOTEC is a worldwide leader in all areas, in which safety at heights is important. We supply innovative and exceptional products and services, which are a clear reflection of the strengths of our brand. SKYLOTEC GmbH is based in Neuwied and was founded in 1947. It is one of the leading manufacturers of Personal Fall Protection Equipment and safety systems for sports and industry. As well as an extensive range of fall protection products, we also offer intensive advice and services and an international training programme from the Vertical Rescue College. This combination of expertise in the industry and technical knowledge in mountaineering constantly leads to new innovations to benefit users - whether at work or during their leisure time. SKYLOTEC currently employees about 400 people worldwide and has its own production facilities in Germany and Hungary, as well as subsidiaries all over the world. 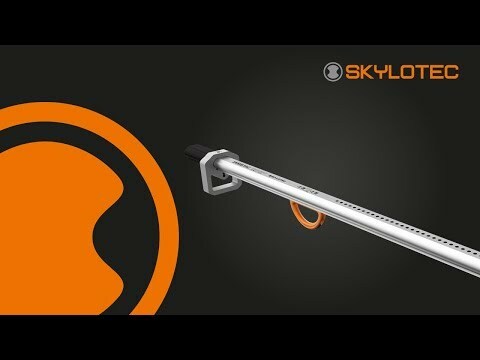 SKYLOTEC offers an extensive range of Personal Fall Protection Equipment (PPE) and products for permanent fall protection: harnesses, ropes, carabiners, abseiling equipment and rescue equipment, fall arresters, horizontal anchor systems, climbing protection ladders, anchor points, protective clothing and much more besides. High-performance and innovative products "Made in Germany"!